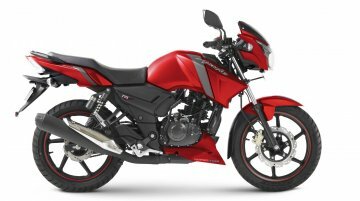 After the TVS Apache RTR 160 4V, the Apache RTR 160 has received the safety net of ABS. 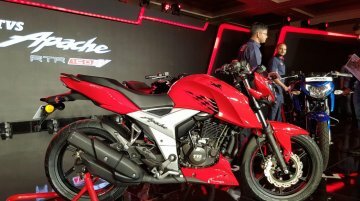 The TVS Apache RTR 160 ABS has been launched at an ex-showroom price tag of INR 84,710 and INR 88,199 for rear..
TVS Motor Company has introduced a single-channel ABS unit on the Apache RTR 160 4V in India. 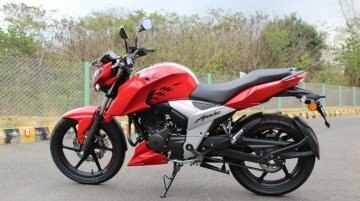 The TVS Apache RTR 160 4V ABS has been priced at INR 98,644 (ex-showroom Pune). . 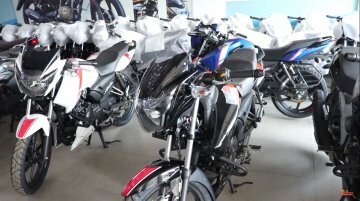 Earlier this week, we reported the prices of the TVS Apache RTR 160 ABS that was launched in India at INR 84,710 and INR 88,199 for rear drum and rear disc respectively. The ABS-equipped models carry.. Available on the Apache 160, Apache 180 and Apache 180 ABS variants. 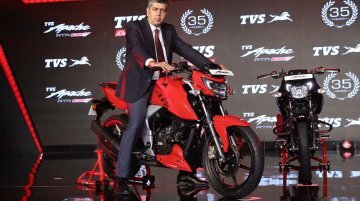 TVS Motor Company has released a video promoting the TVS Apache RTR Matte Blue Edition which is offered on the Apache 160, 180..
TVS Motor Company has launched the TVS Apache RTR 160 and the TVS Apache RTR 180 in the Racing Syrah matte red colour. 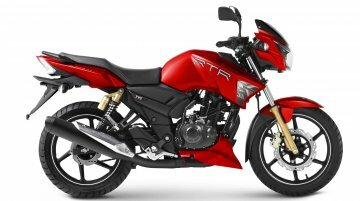 The matte red variants are priced INR 1,000 over the standard version of the.. 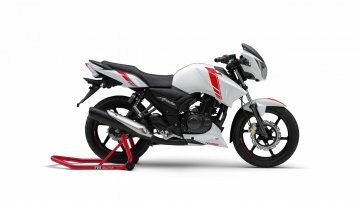 The TVS Apache RTR 160 has a 1,300 mm wheelbase. 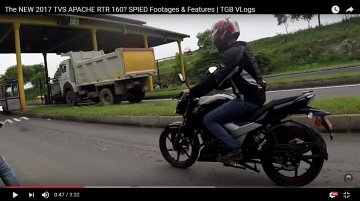 A new test unit of the TVS Apache RTR 160 has been spotted by YouTube user The Gearhead Bureau. 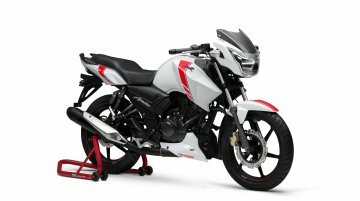 The bike bears the shape and styling of the TVS..
TVS Motor Company has launched the 2018 TVS Apache RTR 160 4V in the country. 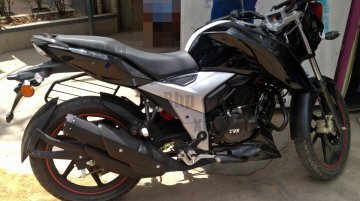 The motorcycle comes in three variants: Carburettor with front disc and rear drum (INR 81,490); carburettor with front and..
Clearest ever images of the upcoming 2017 TVS Apache RTR 160 (facelift) has been shared by an xBHP forum member. 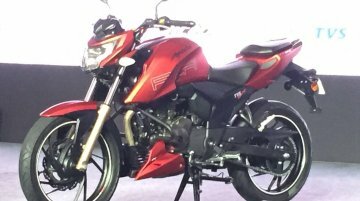 With styling in line with the TVS Apache RTR 200 4V, the new Apache 160 gets an oil..